Running a restaurant can be an incredibly rewarding endeavor, especially when fueled by inspiration and a passion for the Food and Beverage industry. What most restaurant operators overlook when opening their first restaurant or joining a new management team though is restaurant accounting. An aspect of restaurant operation that even the most experienced restaurateurs have difficulty mastering. Between profit and loss statements, payroll, food cost, contribution margins, and a slew of other foreign sounding restaurant accounting terms, it's no surprise. Restaurant accounting just isn't easy. But sadly it can't be avoided. Without proper restaurant accounting practices, restaurant bookkeeping, and a business strategy set in place, most restaurants are destined to fail. Restaurant profit margins are already razor thin, and attempting to increase that just by driving more customers to your restaurant sometimes isn't enough. At the very best, you'll increase revenue with profits flatlining. So how do restaurants cement long term financial success for their brand? 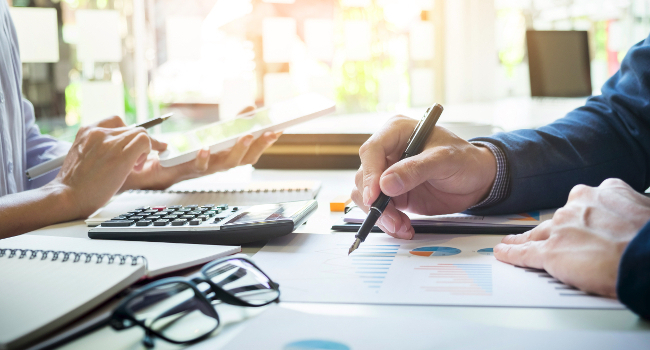 This article tackles some of the greatest restaurant accounting challenges faced by restaurant operators and provides tips and resources to help get your business on the right track. Bonus: Read until the end to download our free excel profit and loss calculator. Before diving into the nitty gritty of restaurant accounting, let's first understand a few of the basic restaurant accounting terms and practices. A 'Profit and Loss Statement', often referred to as 'P&L' is an essential way for restaurant owners to track a number of different financial metrics. Using this simple financial method, a record of revenue, food costs, operating costs, and labor costs can be compiled into one document. Some restaurants keep yearly updated P&L sheets, but it is recommended to be updated on a weekly basis. A cash flow report tracks the flow of cash into and out of your restaurant. When cash goes out of your business it is referred to as "cash out" and when cash comes into your business it is referred to as "cash in". The purpose of a cash flow report is to show you how much money your restaurant currently has and whether or not the flow of cash through your business is enough to sustain operations. A financial forecast can be a restaurant operators greatest weapon against bankruptcy. When you forecast your restaurant's finances you are projecting (based on trends) how much revenue your business will be generating in the future. This report will help you make long term business decisions such as whether or not you can expand, open other branches, rebrand, etc. Payroll is the name assigned to all the costs associated with keeping your staff employed. This includes their salaries, overtime, bonuses, raises, etc. Knowing your restaurant break even point is crucial. A restaurant break even point is the amount of revenue a restaurant needs to generate to cover all expenses. This will help you gauge how well your restaurant is doing day to day. For example, a restaurant with a breakeven point of $4,000 generated $6,500 today knows that they have made a $2,500 profit. Your net profit margin is a better way to look at revenue generated at your restaurant as it takes into consideration all operating expenses leaving you with the excess money that you've earned. A busy restaurant may be making thousands in daily revenue but still operating at a loss, which is why it is so important to understand your profit margin and monitor it. Now that you have a basic understanding of some of the terms associated with restaurant accounting, let's dive into how you can improve your restaurant accounting practices. Having an organized payroll system is one of the most essential facets of running any business. In the restaurant industry in particular, employees are often paid weekly, with some paid a fixed salary and some paid by the hour, finding the time to manage all these accounts can be incredibly difficult. Outsourcing the process, on the other hand, is not only affordable but can be incredibly rewarding in the long run. Payroll laws are constantly changing, and any missed payment or incorrect procedure can result in a hefty fine for the restaurant. By allowing a professional payroll representative to manage your accounts, you will save hours every week, and guarantee that you are not in violation of any laws. Making sure your restaurant is never under stocked or overstocked is a very challenging task. With items that have short expiration dates it becomes a matter of scheduling as many deliveries and pickups as possible to stay prepared. So how is a restaurant operator expected to always be in the loop? Financial programs and resources such as table management systems can help forecast expected demand, hence ensuring the restaurant is always fully stocked. For example, if it becomes obvious through your table management system that weekends are always fully booked, extra inventory can be ordered for those days to compensate while not ordering as much on weekdays. Restaurant accounting is not just confined to the office in the back, but rather, a lot of good accounting practices begin at the front of house level. POS systems are used in restaurants to record any orders made by customers and to complete transactions. A good POS system though will allow you to track labor costs, inventory counts and different methods of payment as well as generating sales reports. Choosing the right POS system forms a link between the front of house and the back of house accounting system, making your daily invoicing much more facilitated. It's even better if you can find a table management system that integrates with your POS. If you are having trouble sorting out the finances for your restaurant, your best bet is to hire an accountant. Hiring an accountant can be incredibly beneficial for almost all restaurants whether big or small and can be useful even if you have an understanding of day to day bookkeeping. 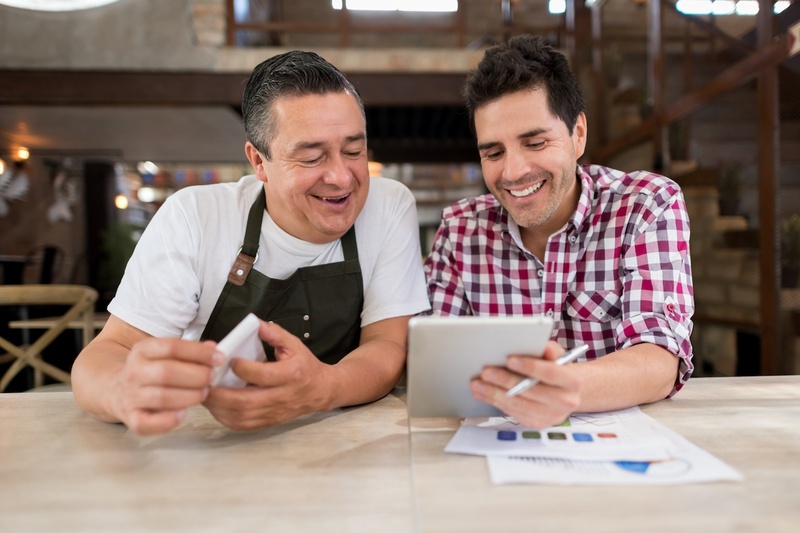 With an accountant, not only will the process become easier, but also they can also help with the more complicated processes such as interpreting your restaurants finances. If you are not able to hire an in house accountant, there are plenty of independent accountants or accounting firms that can help on a part time basis. Their services can include financial consultations, managing payroll, business projections, and advanced bookkeeping in addition to ensuring you are complying with any local financial laws. Financial software is designed to make restaurant accounting as easy as possible for restaurant owners. There are a number of different programs to choose from and each has its own advantages and disadvantages. Below you will find a few examples that could make your daily accounting processes super simple. Microsoft Dynamics GP puts the control over finances, inventory, and business information in your hands but also incorporating itself within your email and calendar. QuickBooks is one of the most well-known financial programs around, and with the addition of QuickBooks POS it’s a no brainer for an all in one accounting solution. The software features a very useful startup financial planner which will allow you to forecast expected revenue and in turn provide you with estimated startup costs to help plan the future of your restaurant. A profit and loss statement is only as useful as the amount of information you are tracking. Updating your P&L once a year just doesn't cut it. Most restaurant accountants recommend that you update your P&L at least once a week so that the information is always up to date giving you an x-ray of your current financial status. We've put together an easy to use and free Profit and Loss excel template which you can start using at your restaurant today. One of the hardest tasks for restaurant operators to keep track of is daily sales. It is recommended for smaller restaurants to go as far as keeping track of sales in a spreadsheet after each shift in addition to at the end of the day. By doing so this helps in predicting busy shifts such that the necessary preparations can be made. It also allows you to anticipate which days of the week are busier than others to aid in scheduling staff. For most restaurants, a big chunk of daily sales depend on credit cards, and hence you need to get into the habit of closing out the transactions on a daily schedule to ensure you keep track. For a restaurant to truly know how much money they have earned at the end of a period of time, they need to regularly add up all their expenses and keep all sales receipts. It is advisable to start off by paying bills at least once a week. Once you get a hang of the process, it might become obvious to you which sales need to be recorded more regularly than others. By setting aside half an hour every day, you can save countless hours at the end of the month. There are a number of ways for restaurants to keep their books, and depending on your revenue and even personal preference, you can choose one or another. Accounting Software: Probably the best method for small restaurant owners or even larger chains with little to no accounting experience, accounting software is a great way to get your restaurant on its financial feet. As listed above, there are a number of programs to choose from, and each is suited for specific restaurant requirements. It is advisable to choose all software before opening your restaurant to avoid going through the process of migrating data. 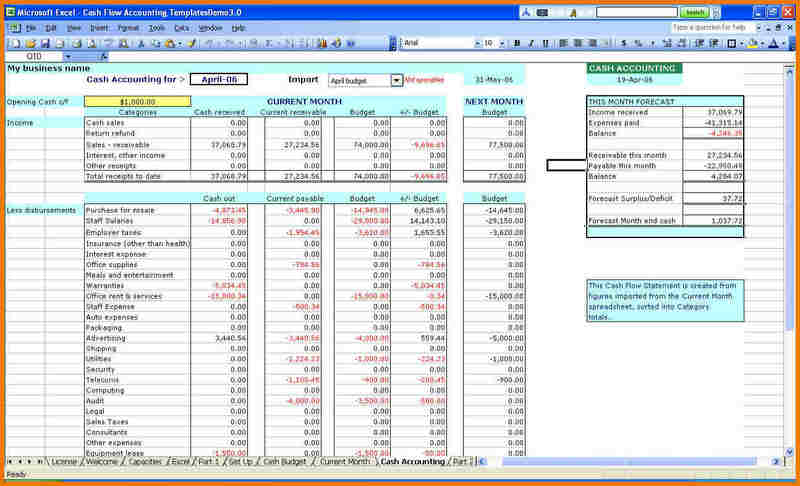 Spreadsheets: If you don’t have the budget for fancy accounting software (even though most modern accounting systems are relatively cheap these days), using any spreadsheet software is a great option for medium and small restaurants. The benefit to using spreadsheets for restaurant bookkeeping is that in the future if you decide to move to an accounting software, the data can be easily exported. Paper Ledger: If you run a smaller restaurant that generates revenues on the lower end of the spectrum, using a paper ledger is probably the best option for you. The only downsides are that using a paper ledger is more time consuming and also very difficult to export to an accounting software in the future. Having a profit and loss sheet at your restaurant is essential. When done right, a proper profit and loss sheet can be a great way for restaurant owners to track key metrics. If you are an independent restaurant owner or just a restaurant operator struggling to keep your restaurant accounting in order, we have put together an easy to use and FREE downloadable profit and loss excel template.